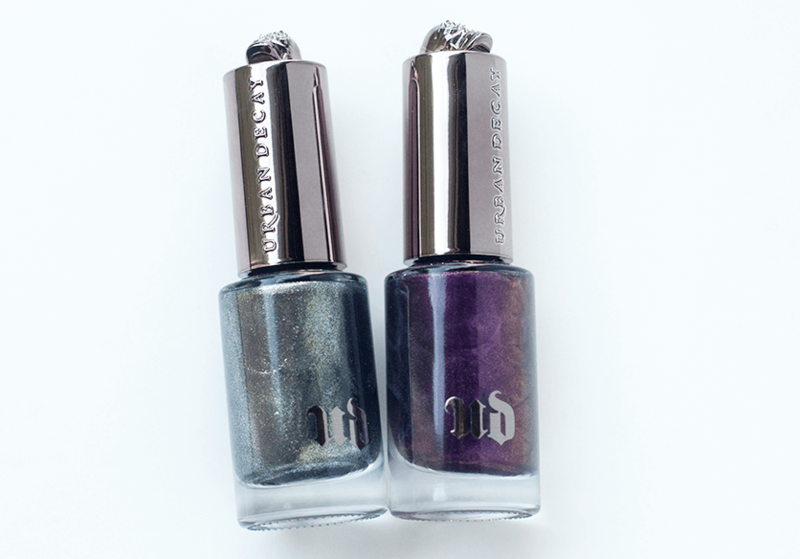 Urban Decay has recently released two limited edition nail polishes for their Fall 2013 collection. Apparently every season they will come out with two seasonal shades which is nice! 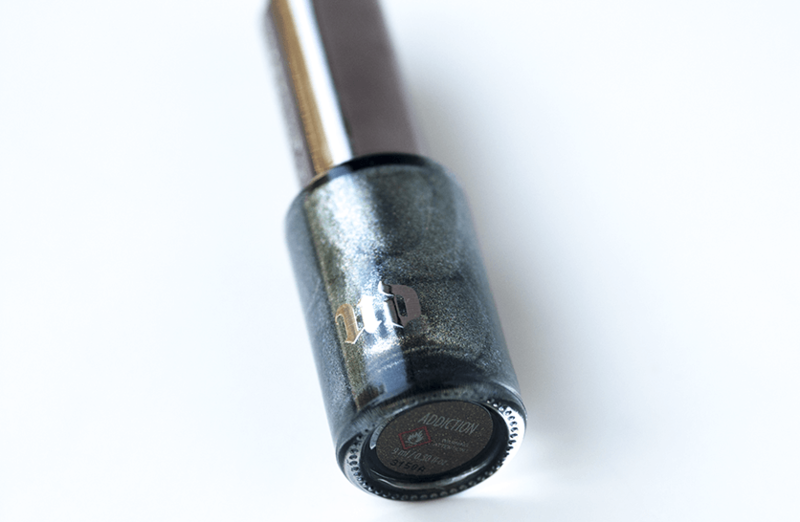 Addiction is a sparkly sort of metallic gun metal green with gold shimmer. Depending on the light, it can also pull blue-green. 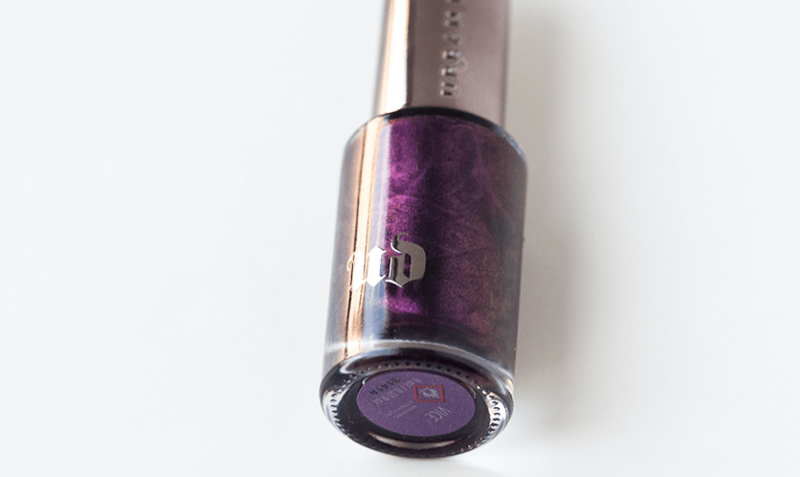 Vice is a deep purple with blue and red shimmer. 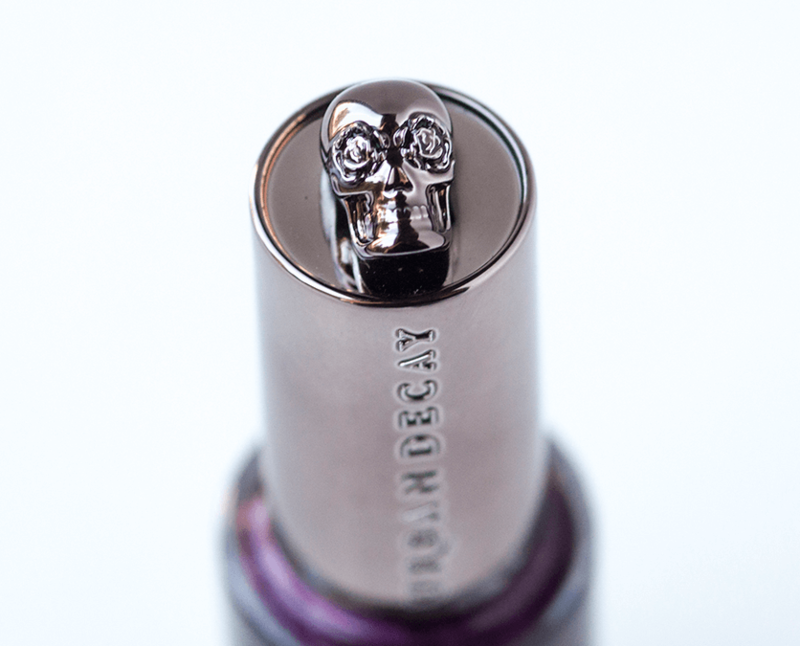 I loved the bottles, very sturdy and the cap has a skull with roses for eyes! It’s the little details like that that sort of separate the higher end brands from drug store. 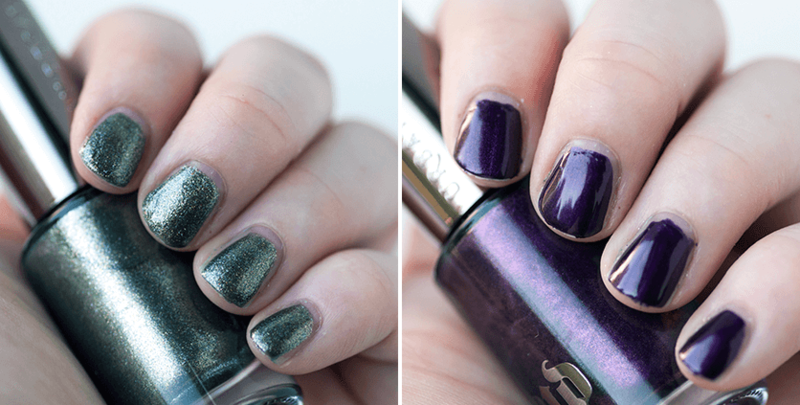 The Urban Decay nail polish formula on both of these was fantastic! Opaque in two coats. Not too thick and not too watery, just perfect. 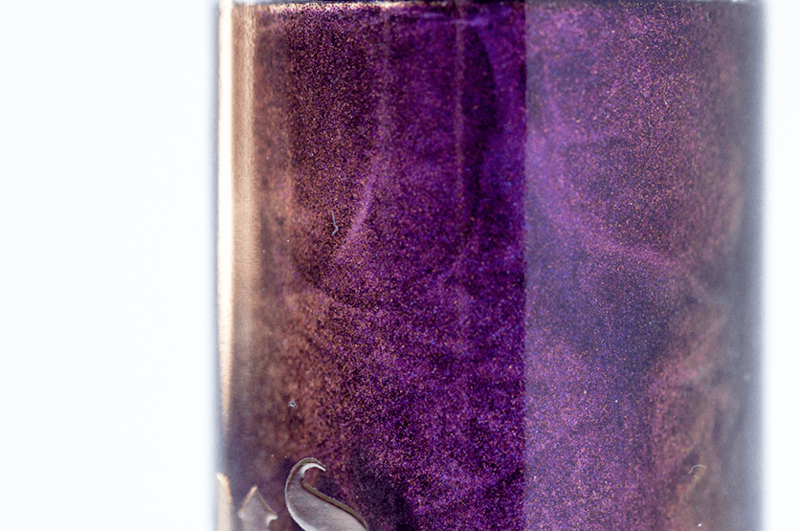 I do wish the crazy intense shimmer from Vice came out more on the nail but overall it’s a great purple and we all know it’s my ultimate favorite color. Extra Info: these are Limited Edition so buy them now while you still can! They look awesome – love ’em! 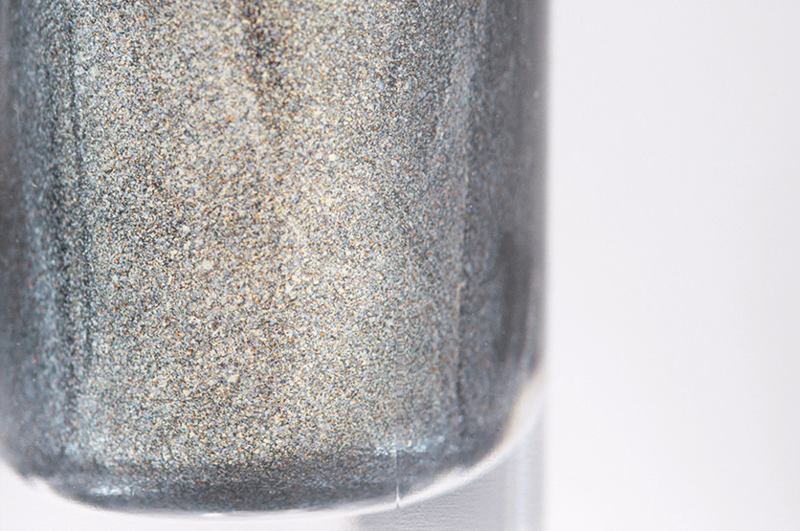 You’re right, vice looks more creme with sparkles rather than glittery – also, I love the fact that addiction, though it looks very gun metal gray it pulls in a lot of green. LOVE THEM! What I also love about Addiction is that even though it looks like chunky glitter, the formula is very smooth, not gritty at all. I love the sparkly green! These are both gorgeous, but I’m with you on Vice! Stunning! I want to wear them all the time but… I just can’t… they are too Autumny lol! But mid-September will be coming up soon and then I can wear Vice ALL THE TIME.